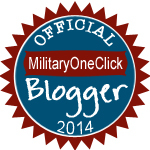 I have been incredibly lucky to attend several military weddings – including my own. While my husband and I did a traditional ceremony following our 14-month long-distance engagement, many of the couples whose weddings I’ve attended were in fact already married through a quick courthouse ceremony months of even years prior. They do the courthouse marriage so that they can reap the financial benefits, promising to have their ‘real’ wedding when he returns from the deployment. Because of this arrangement, many brides are left planning their big day singlehandedly. That can be a blessing to those detail-oriented brides who have been dreaming of their wedding day since age 5 when she would dress in a pillowcase veil, her mother’s heals, and force her little brother to walk hand-in-hand down the imaginary aisle in her family’s living room. But it can also be an incredibly daunting, exhausting event to plan. Unless you have a magnificent wedding planner, you are left with the infinite details that go into bringing the vision to life. With June being the most popular wedding month in many areas of the country, I am busting with inspiration for a modern military themed wedding. 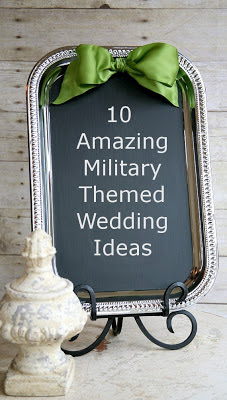 Therefore, I have compiled 10 of the most amazing military themed wedding ideas that I could find to help make this special event less worrisome and more whimsical. In April, 2013 I attended a military wedding of a couple who invited me and my husband with a delightfully unique invitation. It was a classy Mad Libs-style invitation that allowed us to hand write words on the RSVP card such as a song we wanted to hear (we wrote Baby Got Back - and they played it at the reception! ), and how we wanted them to recess down the aisle (we said cartwheel, but they opted for the traditional wedding march.) That is why I am loving this wedding invitation insert from David’s Bridal that tells a quick story of how the bride and groom met – a fun way to tell guests who may not know the couple very well. Elegant and handmade, sit these two pretty little military inspired love birds atop your cake to wow your guests and treasure as a keepsake long after the cake cutting. Made by Ann Wood, she can customize your birds to your "branch" of service. This idea is so fresh you can smell the succulent spruce through the photo. What a wonderful way to incorporate the army green and tan military wedding color pairing into your favors. I love attending weddings that reek personality. For a military twist, pin an army man, anchor emblem, wings or sabers to the lapel of your ushers and groomsmen. For the couple who doesn’t need much, this idea is sure to leave a lasting impression. Rather than creating a wedding registry, invite guests to donate to a military cause of your choosing, such as to the Wounded Warrior Project. Include instructions with the invitation, and display a reception table where last minute donations can be made. 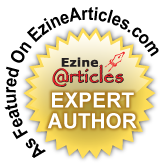 Remind guests of tax deductions. It’s a party, why not have a little fun with photography? It’s a great way to snap photos of all the guests enjoying themselves in a nontraditional way. If I could redo my wedding I’d plan a vintage military themed wedding. Rather than bright patriotic colors, go for vintage blues and muted reds. Use old suitcases and trunks to house gifts, and incorporate vintage military airplanes or other branch-specific nostalgia into the centerpieces and favors. Dress up your invitations with adorable custom military wedding themed postage. I had the honor of witnessing a wedding ceremony at the Air Force Academy Cadet Chapel. It is a stunning structure both inside and out. As a guest, I will never forget that wedding because it was truly an amazing venue. To incorporate the military theme into your setting, research local museums, banquet halls, and chapels related to your branch. Many bases are rich in history, and you can usually find both old and new structures that are sure to please. Most military venues must be reserved in advance for a fee, much like civilian wedding sites. Heidi Janson at Brides Across America has given away over 5000 wedding gowns to military brides. This remarkable woman and her team are setting up nationwide wedding gown giveaway events in July, 2013. Head on over to their site to check dates and locations, and to pre-register. To qualify, you or your fiancée has to have deployed within the last 5 years – or – you must have orders for an upcoming deployment. You must also show proof of orders, have a valid ID, and be engaged. If you don’t live near one of the giveaway events, or if you don’t qualify, they sell very affordable gowns through their site.